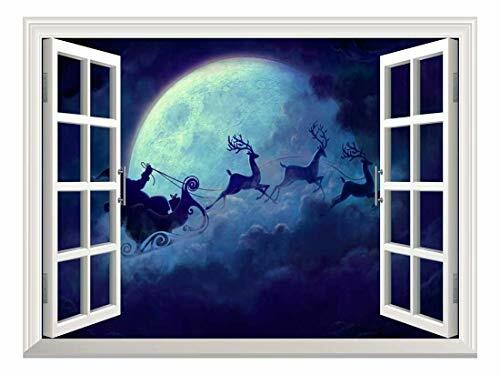 wall26 Removable Wall Sticker/Wall Mural - Santa Claus Flying at Christmas Eve Open Window Mural Wall Sticker - 36"x48"
Brought this for my office, dont have any Windows. Really enjoy looking at it. This id my second one. Great Quality- looks really nice in our children's area. Will last over several seasons. brought holiday cheer to the office!